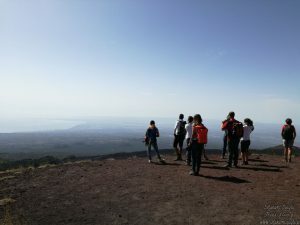 During the trip we visit Etna from its southern side. 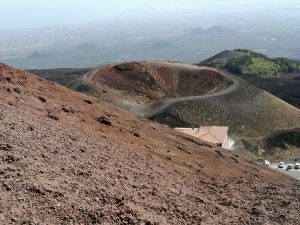 We will admire its old, extinct craters at an altitude of 2000 meters and amazing views of the Ionian Coast, from Taormina to Catania. 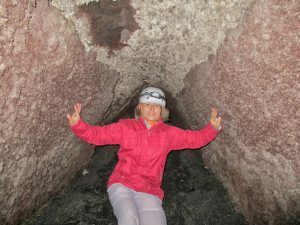 Then we will look inside the lava cave. 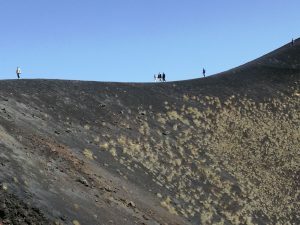 We encounter many ancient and recent rivers of solidified lava along the way. 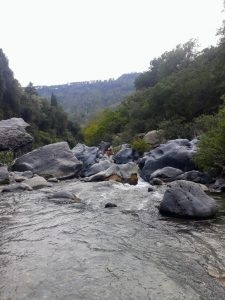 We will also have the opportunity to taste local honey, flavored olive oil, wine and other local delicacies. 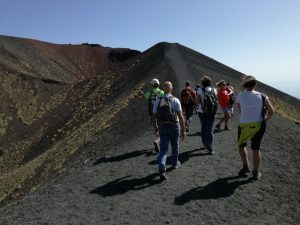 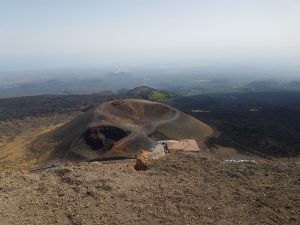 During the trip we will get to know a lot of interesting facts about Mount Etna and volcanic phenomena as well as history and anecdotes referring to the territory dominated by the highest active volcano in Europe. 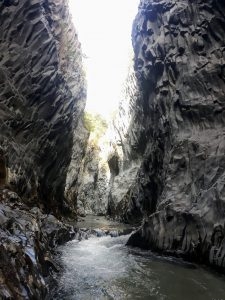 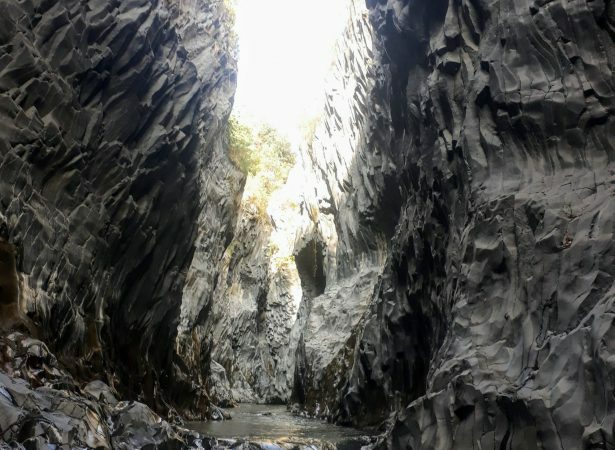 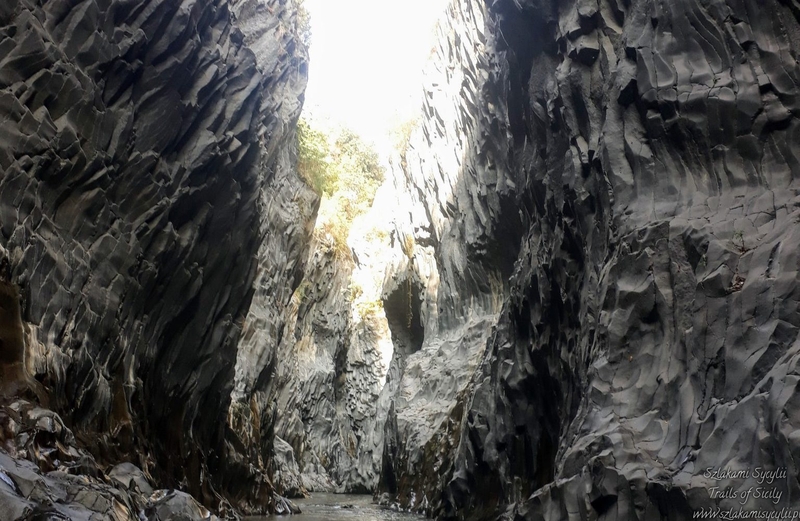 Then we will visit the Gorge of the Alcantara River (Gole dell’Alcantara), where we will admire the amazing shapes of volcanic basalt formed around 3000 years ago.